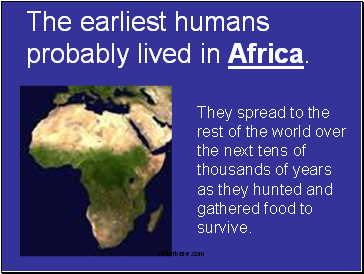 The earliest humans probably lived in Africa. 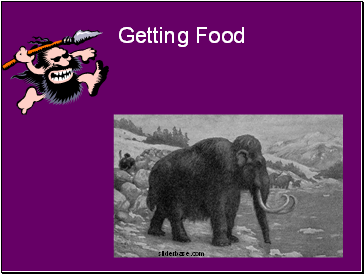 They spread to the rest of the world over the next tens of thousands of years as they hunted and gathered food to survive. 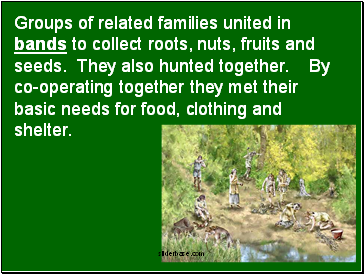 Groups of related families united in bands to collect roots, nuts, fruits and seeds. 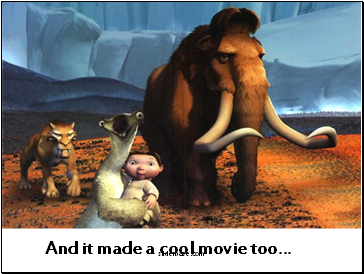 They also hunted together. 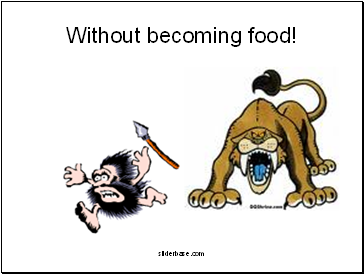 By co-operating together they met their basic needs for food, clothing and shelter. 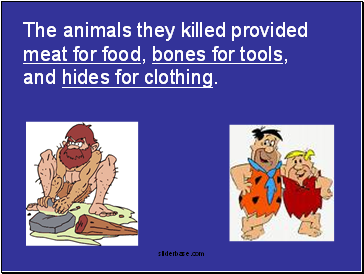 The animals they killed provided meat for food, bones for tools, and hides for clothing. 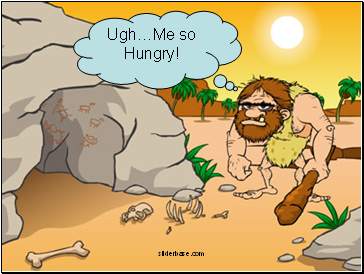 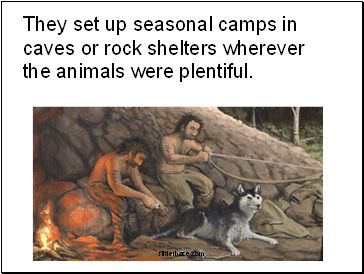 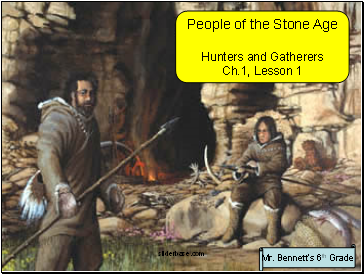 They set up seasonal camps in caves or rock shelters wherever the animals were plentiful. 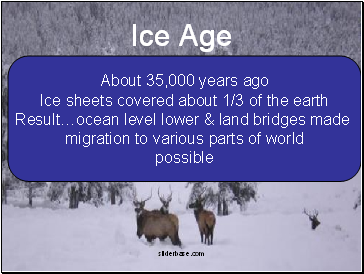 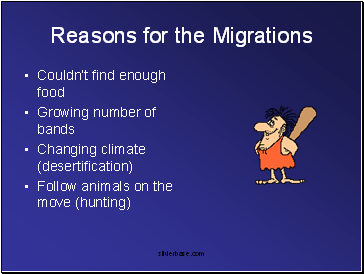 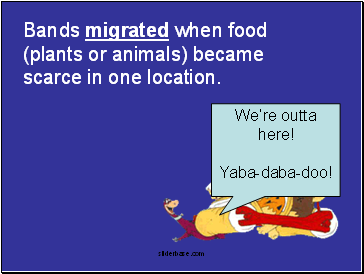 Bands migrated when food (plants or animals) became scarce in one location. 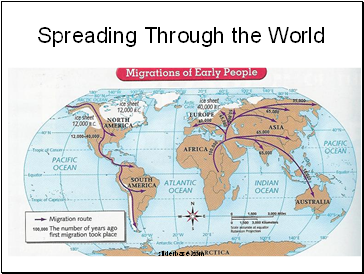 People in different parts of the world gradually developed their own cultures (way of life). 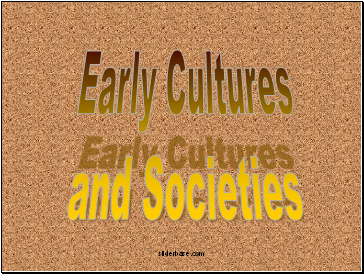 As bands grew larger, their organization and interactions within the group changed. 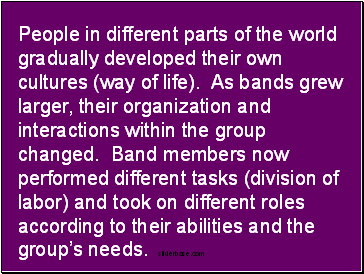 Band members now performed different tasks (division of labor) and took on different roles according to their abilities and the group’s needs.